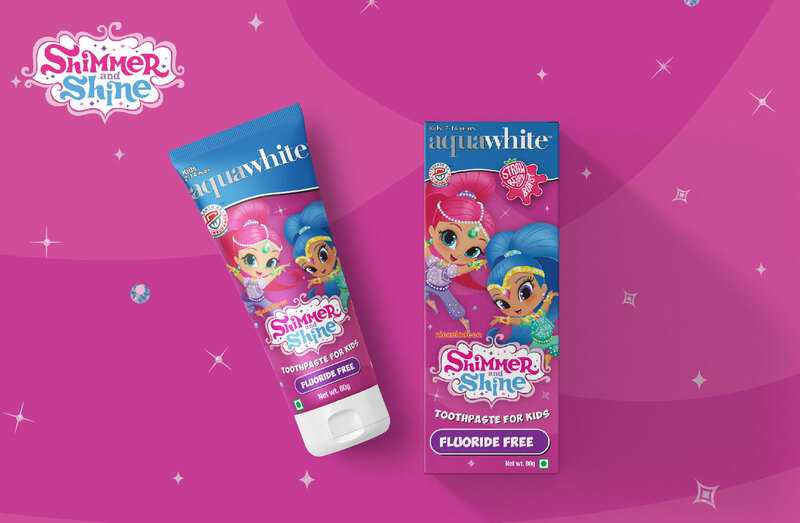 Aquawhite falls under the umbrella of JHS Svendgaard Laboratories, a listed company on the Bombay Stock Exchange. 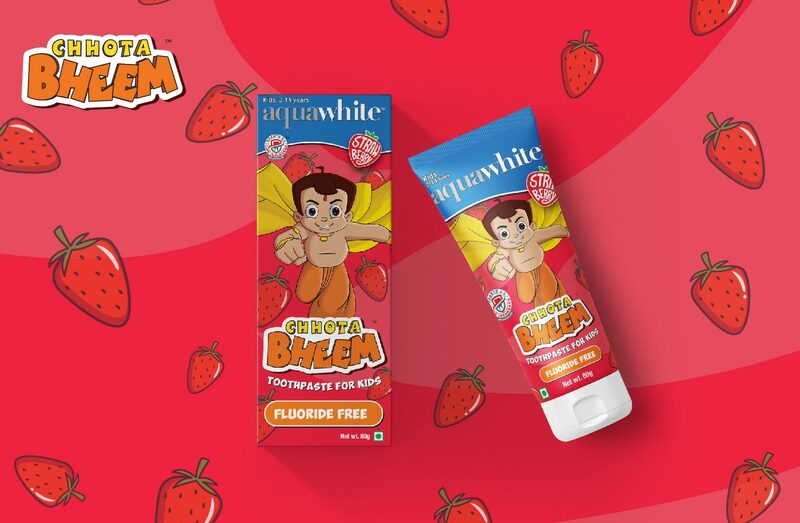 Aquawhite is an Oral Healthcare and Hygiene brand especially catering to the Kids Market. 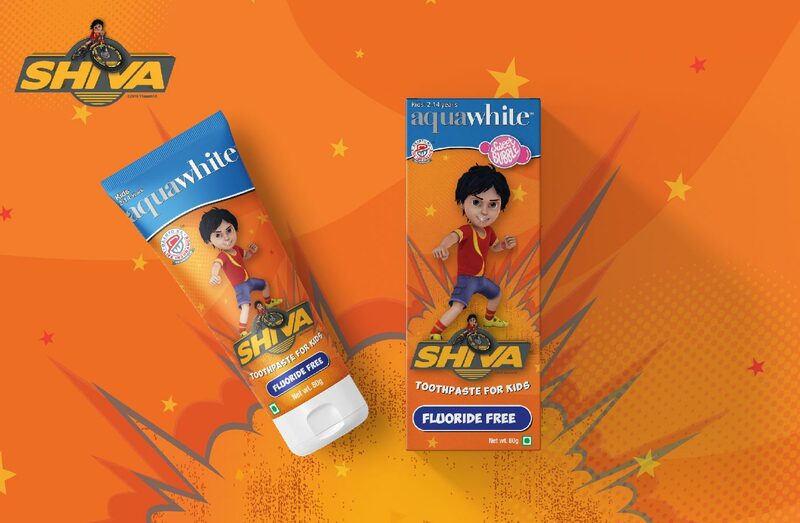 With 5 different kinds of toothpaste with varied flavors and impressive collaborations, they want to emerge as a leader in the Kids segment. 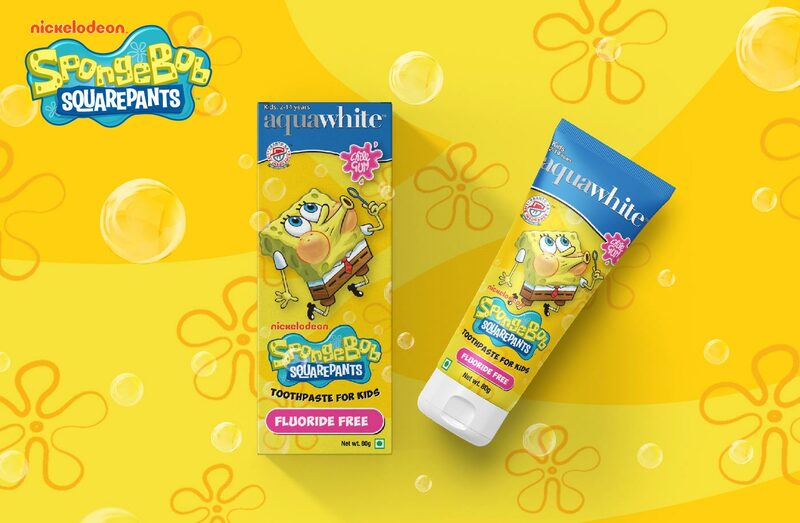 They have collaborated with well-known Cartoon characters like Chhota Bheem, Sponge-Bob, Shimmer and Shine, Pokemon, Shiva etc which helps them appeal to kids. Kids segment is especially tricky to crack, and we kept in mind children's taste and preferences while designing the final packaging. Bright colours coupled with fancy fonts to attract the attention of little ones were used. The final packaging was designed after studying the tastes and preferences of not only kids but also adults as they would be the final customers purchasing the product. 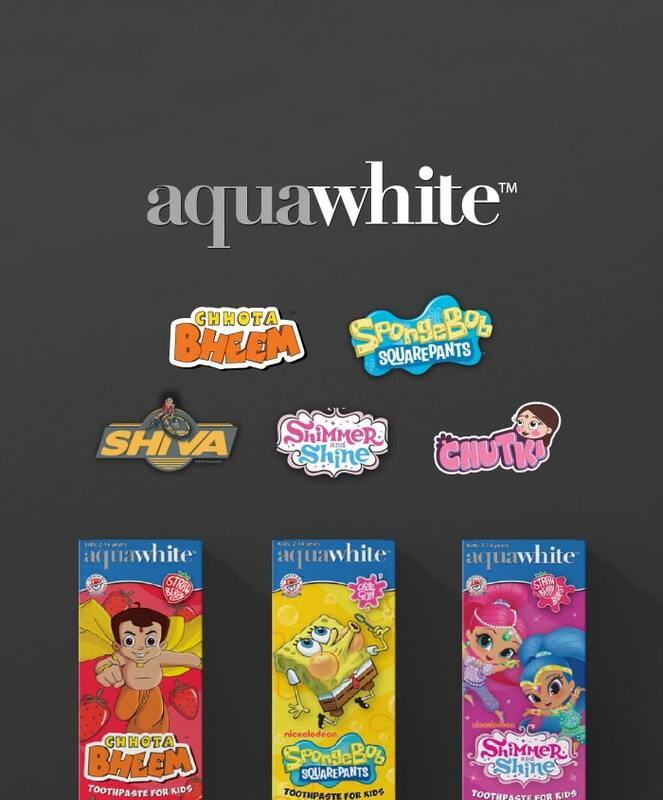 As the primary Target Audience for Aquawhite consisted of School-going Kids, we explored their tastes, likings, and aspirations through our mood board. From exploring their favorite cartoon characters to their future aspirations we tried and tested a number of elements that the Pre-School and Middle-School kids would be interested in. 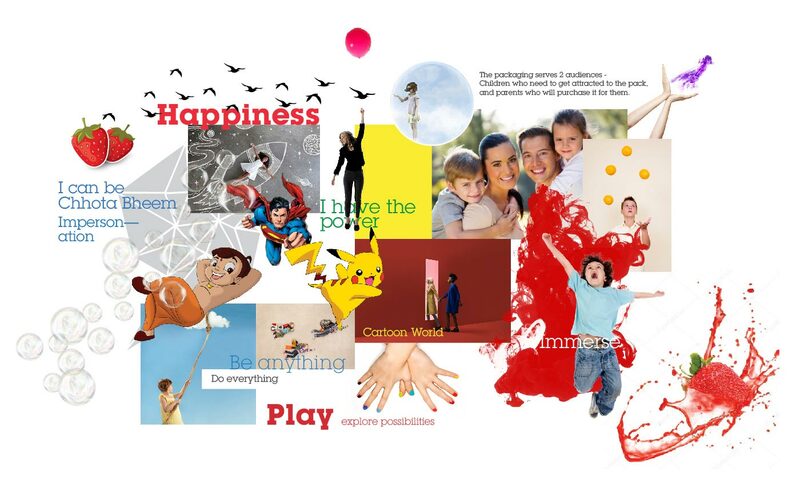 Kids are often driven by their whims and fancies and are considered to be avid dreamers which was one of the basic themes for our mood-board. 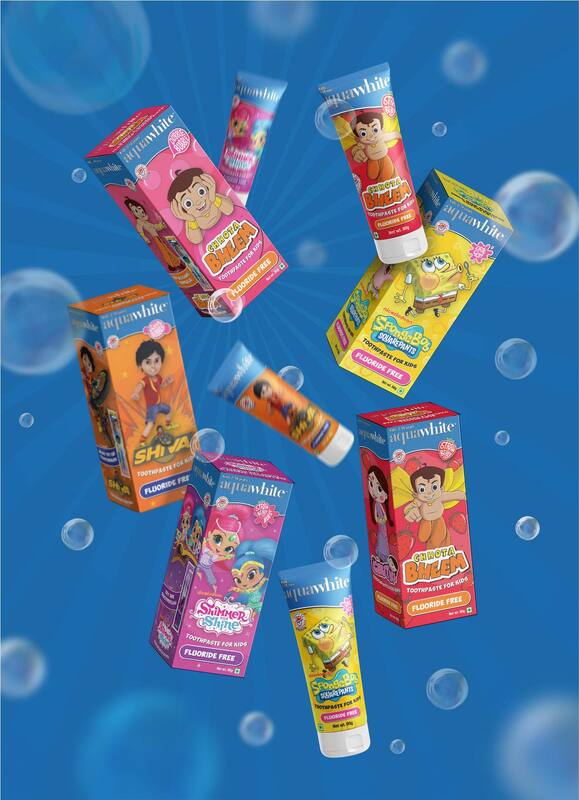 Last but not the least, we tried to incorporate Kids’ inquisitive mindsets as well as the dreamy attitude through the same, which was the basis for the Final packaging design. 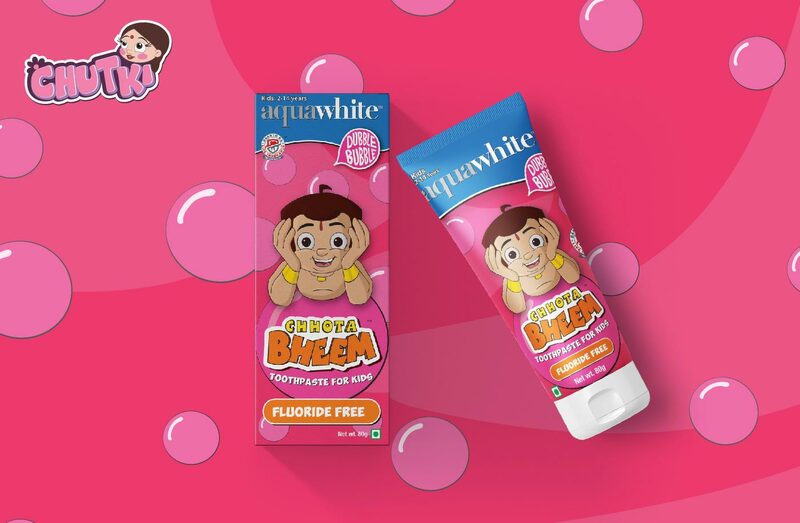 Although the packaging design of Aquawhite Toothpastes needed to be targeted towards children, it was also of utmost importance to add certain elements that parents would be interested in. Parents only want to use the best quality products for their children. This led to the addition of certain elements on the packaging which efficiently informed the Parents about the exclusivity of the product along with its USP. Thus, the final design not only turned out to be aesthetically appealing for children but also informative for adult audiences.